"Like (Michael) Crichton on overdrive, Brown's debut is a grabber." "A finger-burning page-turning . . . the tribe has spoken: 24/7 is a winner." "Fast paced . . . intense . . . impossible-to-put-down." You would never vote for someone to die. But you would vote for someone to live. 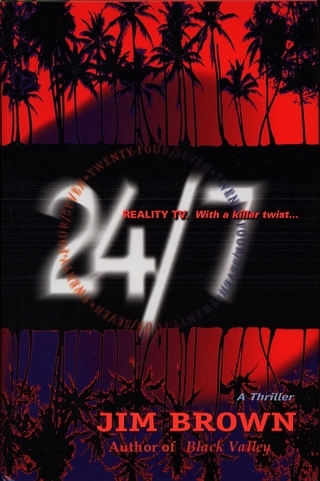 We are thrilled to announce that Jim's first novel "24/7" has been optioned for film to Michael Garrett of Paramount Pictures. Jim says, "Michael is amazing. And one of the few screen-writers I would trust with my 'first-born book' ". Stay tuned and we here at Jim Brown Books will keep you updated. Hmmmm . . . I wonder if they will create a part for a shy but trusty Webmaster? "BLACK VALLEY is . . . utterly terrifying. Ferociously creative, twisting and curving like a serpent, this story kept me awake and turning the pages until the very end." "BLACK VALLEY is an incredible story – I'm still reeling." 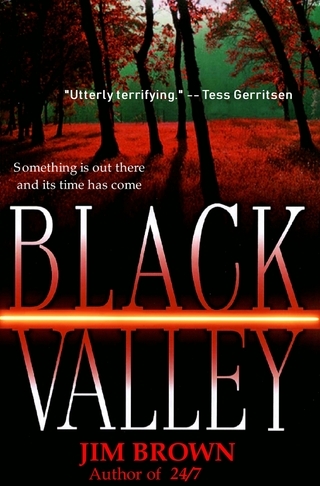 "BLACK VALLEY has it all--an ingenious premise, engaging characters, masterful storytelling, and hair-raising scenes that chilled me to the marrow. Jim Brown is clearly a rising star in this new golden era of suspense fiction." 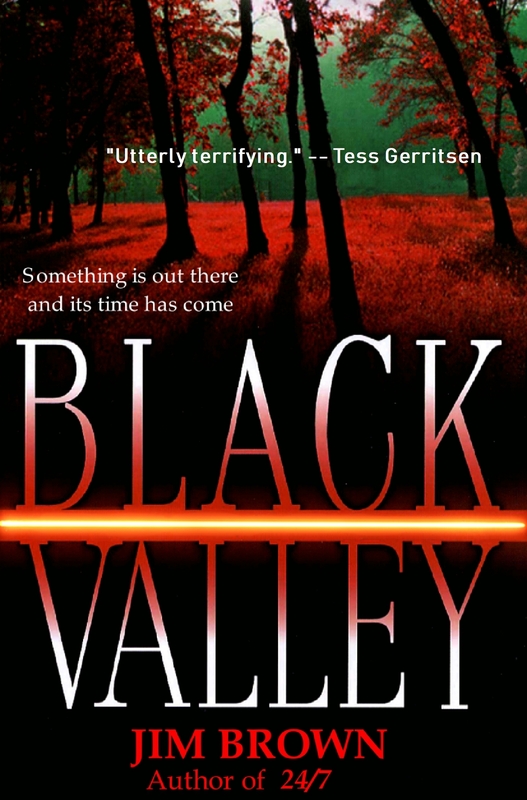 "Terror runs amok in BLACK VALLEY – a Dean Koontz – style thriller pulsating with suspense, intrigue, and a twenty-year old vendetta that rises (literally) from the grave." 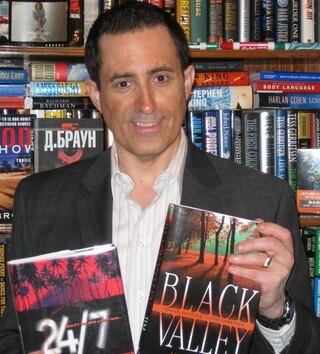 "A classic page-turner, BLACK VALLEY is an intense, intelligent, fast-paced, first-rate thriller. Jim Brown's new novel will grab you on page one and keep you up late into the night-making your imagination work overtime after the lights are out." "Brown heaps on one outrageous twist after another, yet there is no doubt he knows his way around a nail-biter. His many cliffhangers teeter just right, his tone strikes a convincing balance between ominous and terrifying, and many of his characters are just quirky enough to strike fleeting doubts about their sanity." Author Jim Brown. Note: this photo was taken in a rare moment when he wasn't talking. The Clock is Ticking. The Latest Novel from Acclaimed Author Jim Brown is Coming Soon . . .